A bomb in the nearby Tarmiyah neighbourhood targeted an military convoy, killing a soldier and wounding two others. A government employee was killed in the southwestern area of Al-Sahha when explosives attached under his car were detonated, according to a police officer and medical source. 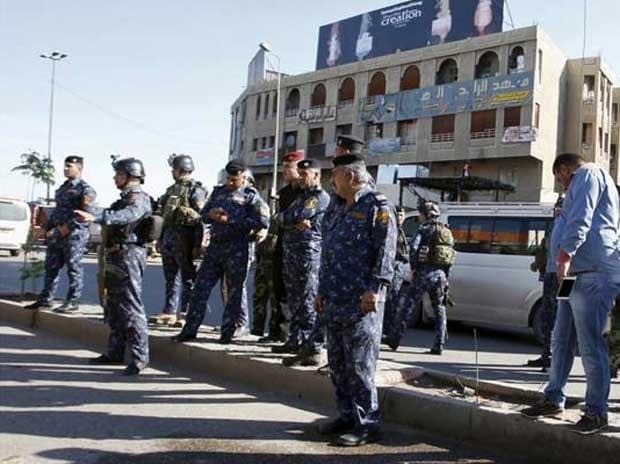 In the eastern district of Sadr City, two people were killed and four wounded in two explosions in the conservative Shiite neighbourhood. And two other blasts went off on busses in other parts of Baghdad's northeast, wounding seven. There was no immediate claim of responsibility for any of the explosions. Sadr City is the former bastion of the Mahdi Army, which fought US troops and was blamed for the killings of thousands of Sunni Muslims. The militia was led by Shiite cleric Moqtada Sadr, whose political alliance triumphed in this year's parliamentary elections. Violence peaked in Iraq during 2006 and 2007, when sectarian tensions were at their highest. But it has fallen across Iraq and particularly Baghdad since the government declared victory over the Islamic State group in December.